It can’t have escaped your notice that it’s ski season. 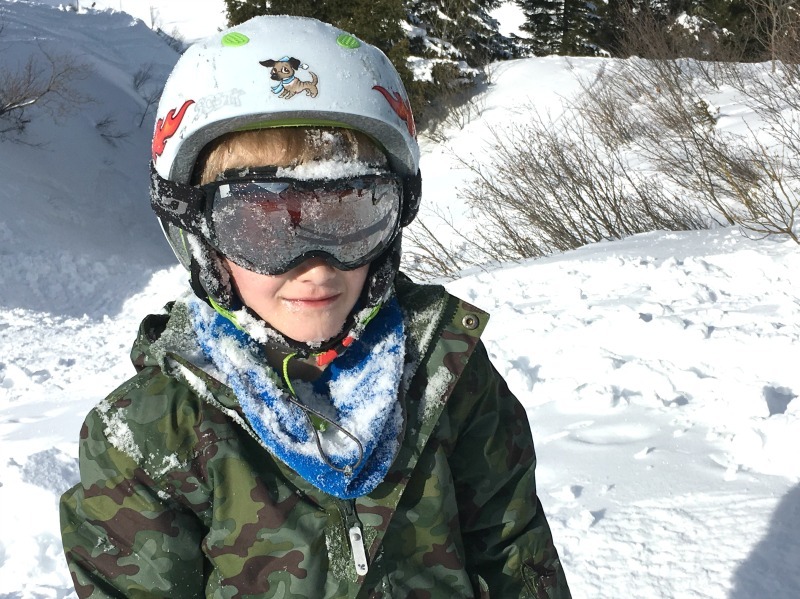 Over half term, Helen took her family skiing to the resort of Les Carroz d’Araches, in the Grand Massif area of the French Alps. 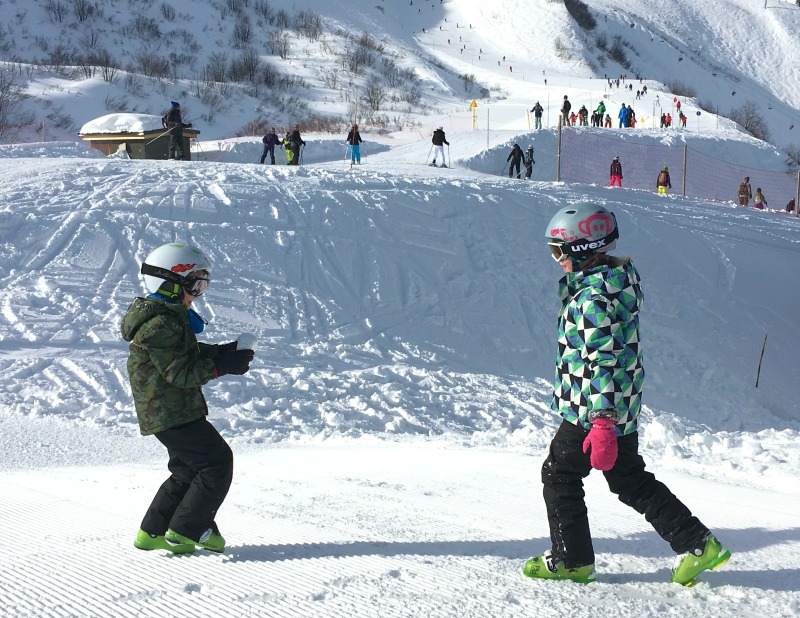 This was the first time she had ventured onto the slopes during the February school holidays, so she was nervous to find out how skiing would go during the most notoriously busy week of the year. 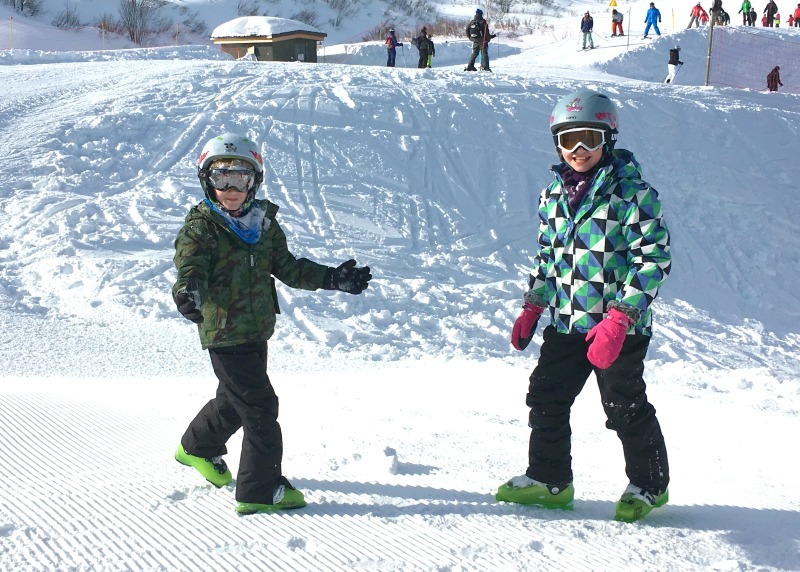 While they were there, the kids also tested out this ski gear from Muddy Puddles. We asked Helen what she thought of the week, and how the ski wear held up. Helen, how did you find skiing during the half term holiday? Was it too busy? I was pleasantly surprised actually. The French have their school holidays at the same time, but it’s staggered over a three week period, so although it was busy with lots of French families, it wasn’t as chaotic as I thought it might be. We were lucky to have chosen the week when the Paris schools weren’t on holiday, which apparently makes a huge difference. It’s worth checking those dates out if you plan to ski at half term. What was the resort of Les Carroz d’Araches like for families? I was really pleased with our choice. Having a huge ski fan in the family, we’ve previously only skied in the big resorts, with lots of advanced terrain. But this time we were travelling with friends, with mixed abilities, and we needed everyone to be happy. Les Carroz has lots of intermediate slopes, plus several more challenging runs for my ski freak! 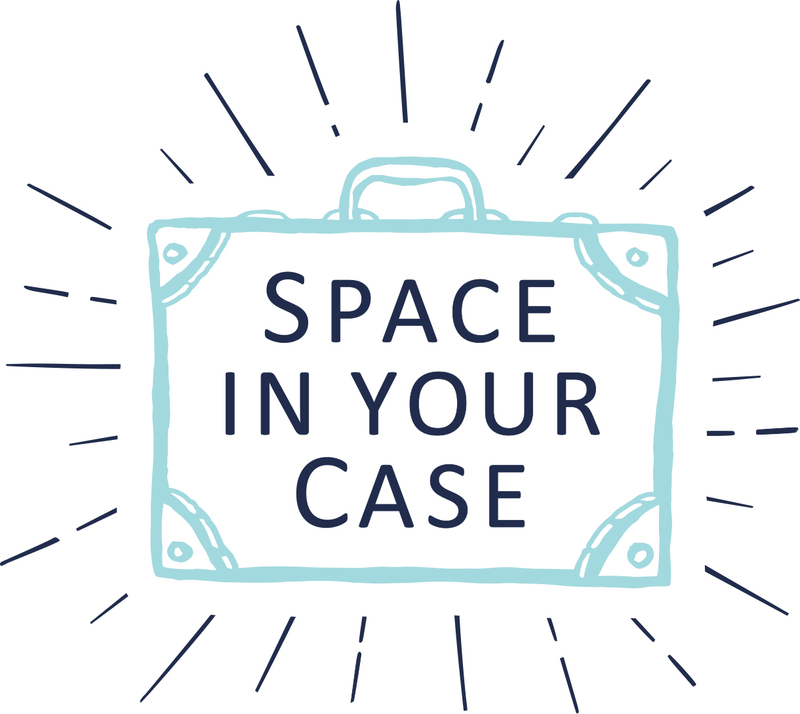 We stayed with Pierre & Vacances in the Fermes du Soleil apartments, which were small, but perfect for families travelling together but needing their own space. There were lots of lovely restaurants, shops, and a lovely ice rink right outside. Plus the apartments had a swimming pool and games room that was perfect when the older children needed a bit of independence. Was there anything that worried you about skiing with children? We’ve skied before, but this time we had more children, the slopes were busier, and it was colder than when we normally go, at Easter. I was worried the kids might be fair weather skiers, and we did have a few moments in the whiteouts when I was nervous about letting them ski too far ahead. That’s where my daughter’s ski jacket came in really handy. It’s bright, colourful, and easy to spot on the slopes, even in a crowd. And did they complain about the cold? Not at all. When you take kids skiing you dread the the grumbles – the skis are too heavy, the boots hurt, I’m cold, I’m wet – but I can honestly say that my two were happy all week (as long as we carried their skis)! Muddy Puddles ski gear is windproof, with taped seams to prevent the cold getting in when they’re high on the mountain, and they’re padded and fleece-lined for extra snugness. The hoods are removable, but we left them on, and they came in handy when we headed out in the cold during the evenings. They’re also fully waterproof, which we discovered on our first day when it snowed, and snowed, and snowed! I came home drenched, but the kids were fine. What was the best thing about the Muddy Puddles ski gear? Apart from the warmth, I loved the fact that the salopettes didn’t have braces. Often salopettes have braces to prevent snow getting in, and keep them on! But my kids were the first out of the toilet queues every time – public loos in ski resorts leave a lot to be desired, so these salopettes were really convenient. The snow down the neck manoevre. 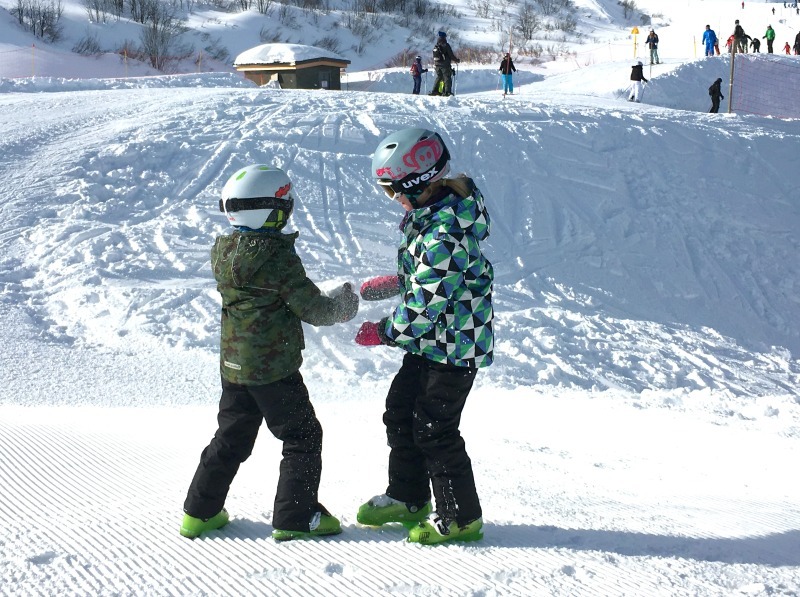 Any more tips for taking the kids on a ski holiday? The only thing I’d change about the ski gear was the colour of my son’s jacket. When the mists came down, it would have been reassuring to have a more distinctive colour so I could pick him out easily. He has a pair of bright green salopettes, so we’ll team this camouflage jacket with those next time. And in the meantime, it’s fab as a school jacket during the winter months – very sturdy, and very difficult to get dirty! Thanks Helen. 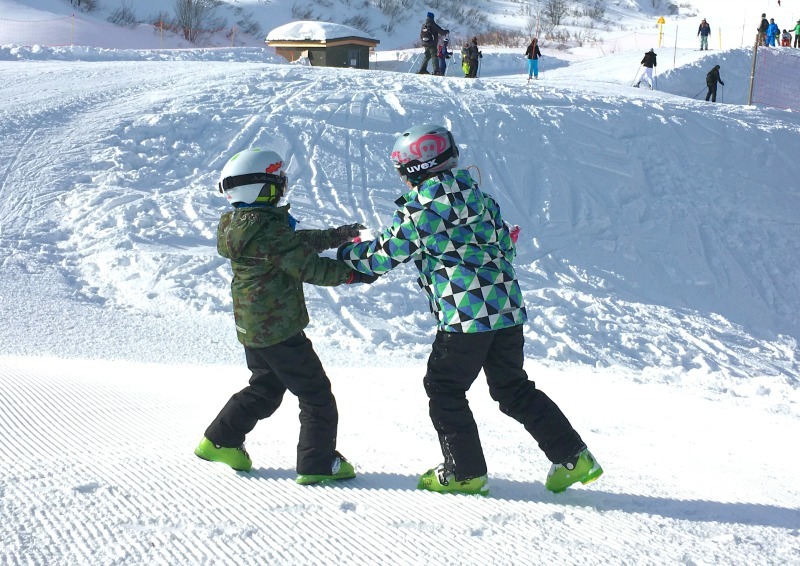 For more tips on keeping kids safe on a ski holiday, check out Helen’s post on Actually Mummy. Helen’s ski gear was given to her for the purposes of review. Muddy Puddles ski wear starts at £59.00 for a jacket, and £35.00 for salopettes. They also have a range of snow boots, thermal base layers, and accessories.